The final season of Game of Thrones has finally started with a bang. Seems like the Kasautii Zindagii Kay season 2 actress has already seen the first episode of the last season. 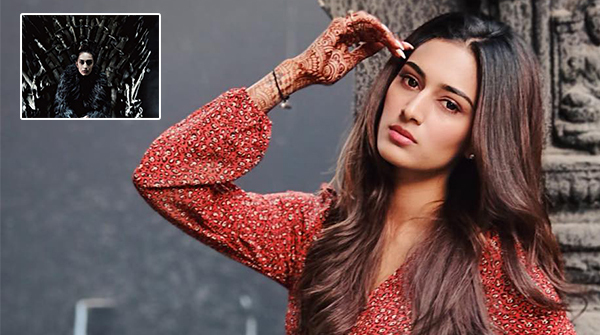 Erica Fernandes who has been fond of superheroes, traveling and fashion is also an avid #GOT fan. With that, she has also got a special Game of Thrones promotional photo of her own trending on her Instagram account. Her post already has received 100,015 likes in less than 3 hours! Now that has the momentum going, which can’t be stopped or avoided. Kasautii Zindagii Kay Tops The Chart And Hina Khan’s Special Gift To The Fans! Even I am a huge GoT fan!!! !